Start peas in the garden this week. Plant radishes in the garden this week. Last night I started the zucchini and yellow squash in fiber pots. The containers seemed a little small, but I guess they won’t be in them too long before they get planted in the beds. 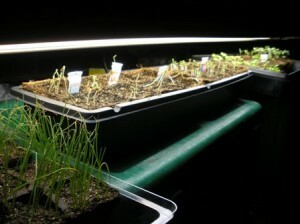 Tonight I hope to get more radishes seeds planted and my peppers transplanted into larger containers – unless it rains. Start bell peppers this week. Start bell peppers indoors this week. Start cucumbers indoors this week. Start squash and zucchini this week.